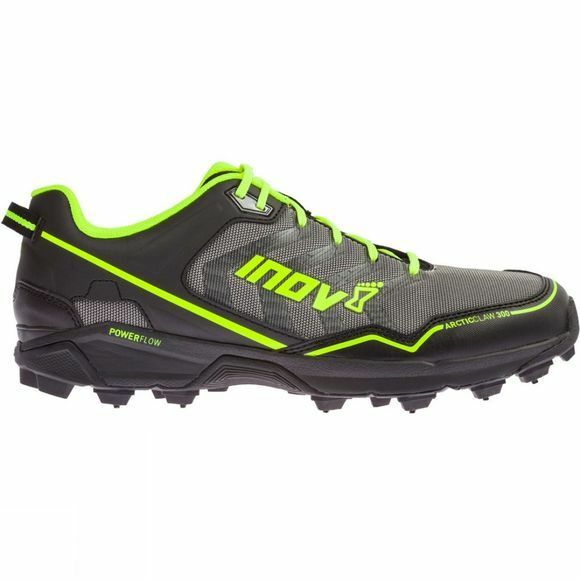 The Mens Arctic Claw 300 Shoe from Inov-8 performs on the most severe of off-road terrain, excelling on ice and frozen ground. 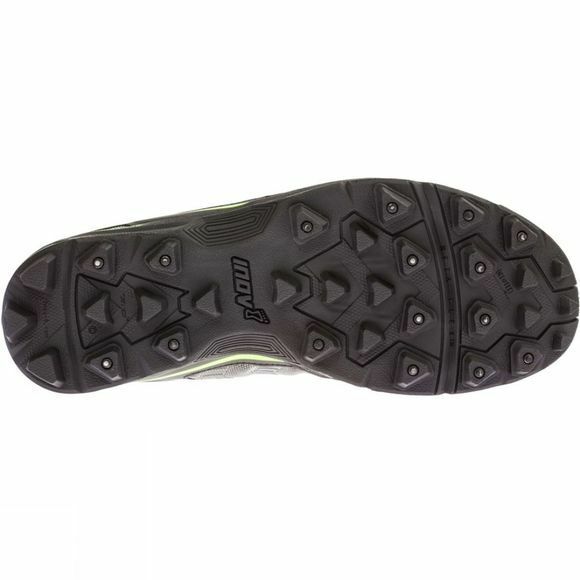 An optimum number of tungsten carbide spikes on the outsole ensures unrivalled grip, no matter how the foot strikes the ground. Run debris-free with integrated gaiter options (gaiter sold separately). Designed for longer training runs over hazardous terrain, the durable Arctic Claw delivers superb comfort through a Power-Flow midsole. A Protec shank aligned with the spikes ensures underfoot Protection, while multi-directional cleats further increase grip.